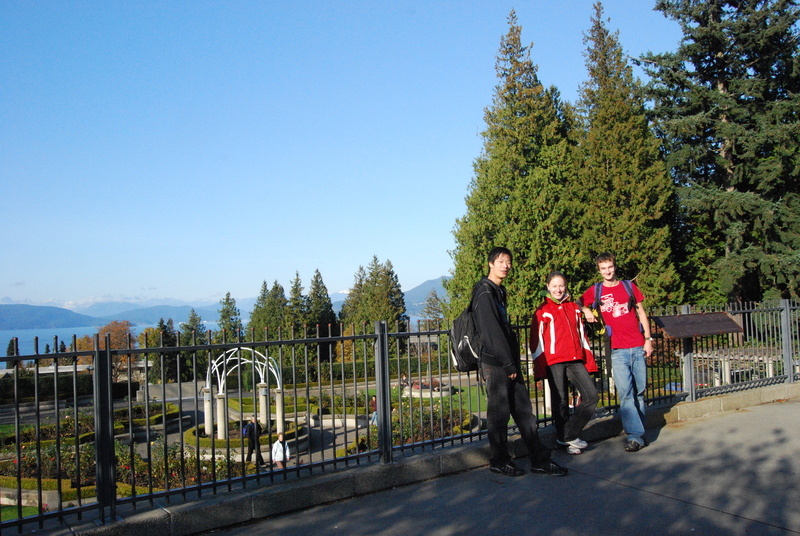 UBC is located in Vancouver, British Columbia, which due to its mild, temperate climate and the picturesque surrounding landscape, is constantly ranked as one of the most liveable cities in the world. The UBC Point Grey Campus is located less than 30 minutes from downtown Vancouver, and is partly surrounded by the 763-hectare Pacific Spirit Regional Park. Vancouver is not only right next to the Pacific Ocean, with many popular beaches and attractions, but is also just a couple of hours drive away from the world-renowned Whistler / Blackcomb Ski Resort, which was the site of the 2010 Olympic Games. UBC offers a variety of amenities to make campus a comfortable place for both commuter students and those who live on campus. There’s a wide selection of food services for students, including restaurants and fast food in the University Village, student-run businesses in the AMS Student Nest, and Food Services locations all over campus. There are also quite a few stores and businesses on campus, including grocery stores, gyms, banks, pharmacies, and the UBC Bookstore. For entertainment, there are many popular coffee shops, bars and restaurants where students can meet, and plenty of recreational facilities as well. The Norm Theatre in the Student Union Building shows recent movies, and has fairly low-priced rates for students. The UBC Aquatic Centre has an Olympic-sized pool, and there’s also the War Memorial Gym, Thunderbird Stadium, and the various activities available at the Student Recreational Centre. On sunny days, there’s the nearby Spanish Banks beach, with free parking and lifeguards on duty in the summertime, and trails for walking, running, or biking in the huge Pacific Spirit Regional Park. 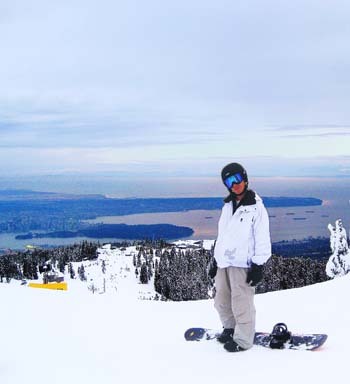 The varied climate and terrain in and around Vancouver provides the perfect playground for nearly any outdoor activity. Sailing, kayaking, camping, cycling, hiking, skiing, mountain biking, river rafting, whale watching, mountain climbing, windsurfing – these are just a few of the activities Vancouver is known for. Several favourite local destinations include Whistler, Mount Seymour, Grouse Mountain, Vancouver Island, the Sunshine Coast, and Fort Langley. There are also several popular local attractions including the Van Dusen Gardens, the Vancouver Aquarium, the Capilano Suspension Bridge, Science World, and Playland. Students get special discounts at a number of these destinations, including free admission to several on-campus attractions including the Museum of Anthropology, the Beaty Biodiversity Museum, the Botanical Gardens, and the authentic Japanese Nitobe Memorial Gardens. The international population brings first class experiences for many international dishes. There are several fresh seafood and produce markets including the Granville Island Public Market and the Lonsdale Quay. There are several restaurants and food stops located on campus. See the UBC Food Services (website) for a current list of these on campus stops. There is also a Save-On-Foods in the Wesbrook Village, a Safeway located 7 minutes off campus by bus at 10th and Sasamat, and an IGA Marketplace at 41st and Dunbar roughly 12 minutes away. Vancouver is home to many distinct and lively communities including Chinatown; Granville Island, a once industrial area that has become a major artistic and shopping centre; Gastown, a mix of contemporary fashion and tourist-oriented businesses; and Yaletown, an urbanite’s paradise. Vancouver has several theatre companies including the Arts Club, the Vancouver Playhouse, Bard on the Beach, and the annual Fringe Festival. There are several local museums and galleries including The Vancouver Art Gallery, the Vancouver Maritime Museum, the Museum of Anthropology, and Science World. Stanley Park, a 1000 acre urban park, also hosts many artistic events including Painters’ Circle, Theatre Under the Stars, and Dance at Dusk. Pursuing high education is a major investment in your future. Although Vancouver’s housing prices tend to be higher than average, food and other expenses are comparable to the rest of Canada, and are dependent on the expected standard of living. The overall cost of living in Canada is generally lower than in most developed countries for the average student. Use this calculator provided by UBC’s Faculty of Graduate and Postdoctoral Studies to calculate your estimated cost of living: https://www.grad.ubc.ca/prospective-students/tuition-fees-cost-living/cost-living. Vancouver has a variety of housing options for both single students and families. UBC Housing offers a wide variety of housing options ranging from first-year student residences, to year-round graduate and family housing. The Department of Housing and Conferences currently provides housing to about 7000 residents in UBC, and provides many additional services such as parking and child care. There are several graduate housing options, including Gage Towers, Fairview Crescent, Fraser Hall, Ponderosa Commons, Marine Drive, Ritsumeikan-UBC House, and Thunderbird. Family housing includes Acadia Park and the University Apartments, and has a variety of community programs for families. Detailed information on all of UBC’s on-campus housing options, as well as current UBC housing rates, can be found on the UBC Housing website. There are many reasonable off-campus options as well. Basement suites and one-bedroom apartments range from $500-$1000 per month, and larger apartments are slightly more expensive. Generally, places that are farther away from UBC tend to be cheaper, so students can save money if they are willing to commute (see section on Transit for more information). Students often search for available rentals on uvrentsline.com, a website created by UBC’s Alma Mater Society (AMS), or through a number of other online resources. The U-Pass program, provided by the Alma Mater Society of UBC, provides unlimited access to the TransLink Bus, SkyTrain, and SeaBus services for students registered in a course or program at UBC. The U-Pass allows students to travel all over Vancouver and surrounding areas, and there are several major bus routes that travel directly to UBC. The U-Pass is mandatory for all students, and the fees (which are substantially lower than unlimited fare card fees for non-students) are included in the Student Fees. Students can apply for a U-Pass exemption if in financial need, and their payments will be subsidized through a fund established by the AMS. More information on the U-Pass, as well as on other transportation options and transit maps, can be found on the Campus and Community Planning website.